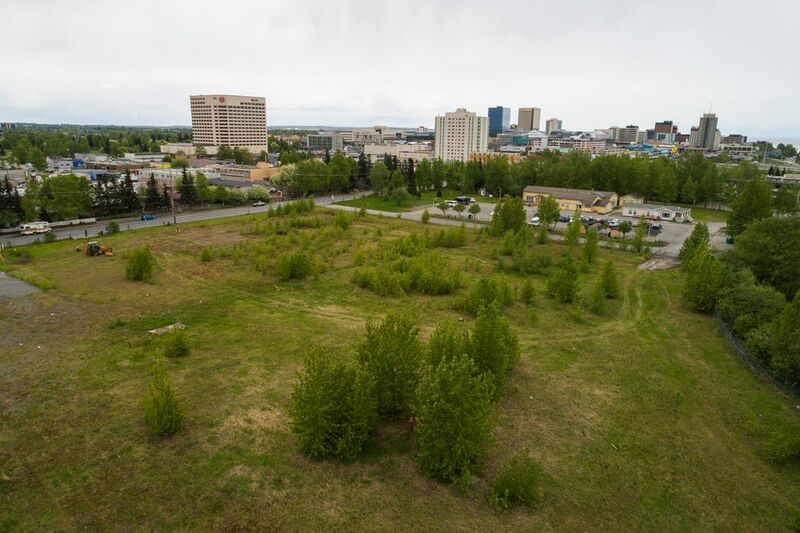 Housing, businesses, gardening, trail connections and a solar farm are among the ideas swirling for the future plans for the empty former Alaska Native Medical Center site on East Third Avenue. The city's Heritage Land Bank, which owns the property, is holding a public meeting Thursday evening to share and discuss the ideas for the 15 acres overlooking the Ship Creek industrial area. The land is up the hill from the city's emergency homeless shelter. It's been the focus of an energetic revitalization effort by nearby property owners who say they want to improve east downtown Anchorage and encourage development apart from the traditional mix of social services. Nicole Jones-Vogel, a land management officer with the city's Heritage Land Bank, said officials plan to present four concepts. Each concept blends housing, commercial uses and parks and open space, Jones-Vogel said. The meeting is scheduled for 4:30 to 7 p.m. Thursday at Guest House Anchorage, 330 E. Fourth Ave. Earlier this fall, the project team also met with stakeholders, including neighboring property owners. "We have some ideas, but other people have ideas too," said Jim Renkert, who is part of a group of property owners that calls itself Third Avenue Radicals. "We don't have real strong opinions or anything in particular, we just wanted to get the thing going." Eventually, the city will come up with a master plan to guide the site's development, Jones-Vogel said. There are some quirks around building there: Because the land is in a seismic zone, any major development will require additional engineering, making the project more expensive, Jones-Vogel said. Assessments on soil and groundwater are also being completed, and contamination would have to be dealt with before anything is built. 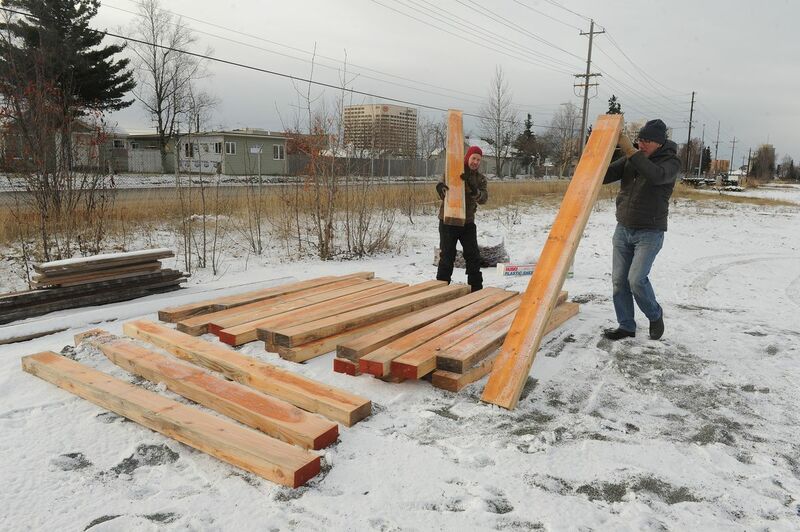 In the short term, the Alaska Food Policy Council obtained a permit to build raised beds on the land for community gardening. The group has been installing the beds this month after a successful Kickstarter campaign — a sign of interest in the space. All of it is the latest twist in a long history. The Alaska Native Medical Center was built on the property in early 1950s and moved to the University-Medical District in the 1990s. The city acquired the property in 2001, and it has sat vacant since. In the decade before the 1964 earthquake, a ski jump was operated on the bluff behind the property. Assemblyman Chris Constant, who has advocated for years to turn the area into an urban farm, said he doesn't see housing being a main use because of the seismic issues and history. He said he dreams of an amphitheater on the bluff and a development that mixes farming and food. Within the group of property owners, the ideas also diverge. Wadeen Hepworth has lived directly across the street from old hospital site for decades. About 10 years ago, she was part of a group of neighbors that fought to keep the city from rezoning the land to an industrial use so contractors could store building materials there. It's beautiful land, and should be honored, she said. She fears the property will be paved over and turned into something unremarkable. "The Alaska Native Hospital land is the last remaining raw piece of property in downtown Anchorage, enhanced with a view of Denali and the mountain ranges to the north and east.," Hepworth wrote in an email. "Why would we want to cover it in concrete like every other piece of ground in this city — not only concrete but ugly concrete sitting on postage stamp lots?" Hepworth said she imagines garden space and greenhouses, and festivals that focus on recycled thrift store objects. Larry Michael, the owner of a bed and breakfast in the area, said he thinks there might be middle ground between Hepworth's vision and that of a more conventional development. There has to be some value in the property for a developer to invest in it, beyond just being a green space, he said. Michael said the goal would be positive activity that draws in people from outside the neighborhood, at the same time as the city works on its plan to end homelessness. Either way, Michael said he hopes the development will be a catalyst. "Finally, in east downtown, we have some attention given to us," Michael said. Correction: A previous version of this story incorrectly reported when the original Alaska Native Medical Center was built in Anchorage. It was built in the early 1950s, not the 1970s.